We'll have April 2015 data shortly, but first we have an encouraging outlook for the Nokomis real estate market (at least for home sellers) in zip code 34229. 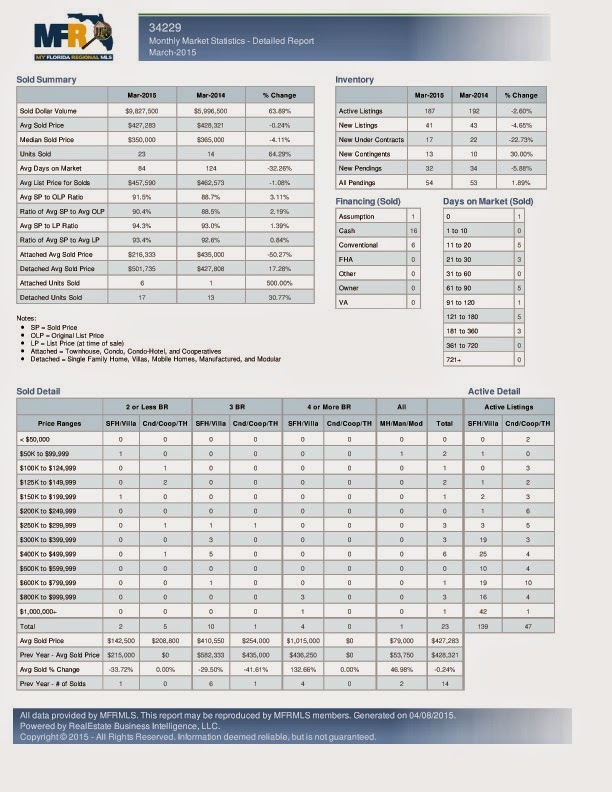 Highlights: Sales volume up 64% over March 2014;Ssales price to list price ratio increases show more of a seller's market than in March 2014;Contributing to a seller's market is 2% fewer active listings and 5% fewer new listings than last year. When you are ready to sell your Nokomis FL property, please contact me. If you are looking for a beach condo on Manasota Key, Siesta Key, or Longboat Key, now is a good time to buy. This time of year, most of the seasonal renters are gone and it's easier to get showing appointments to see the units in person. In the past 30 days (the month of April 2015), 97 beach condo units in the area I serve have either gone under contract, were pending sale, or sold. This is more than DOUBLE the number of condo units from April 2014. 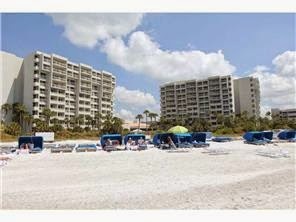 When you are ready to buy, please contact me to help you find your perfect beach condo. If you've driven on Tamiami Trail between Venice and Sarasota, you've noticed a fun new bar called NoKoMo's open in the past week. NoKoMo's has an interesting but small menu of tropical drinks and light bar menu-type fare with a tropical theme. 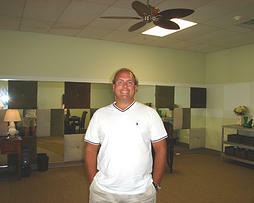 Check it out on your next visit to Venice or Nokomis. I looked at MLS data for sold condos, townhomes, and villas (all considered condos) and analyzed sales for the first three months of this year, compared to the same period in 2014. All indicators in 2015 increased from 2014. In fact, this proves that waiting to buy costs money. The median sales price increased $11,000, or 9%, over the first three months of 2014. 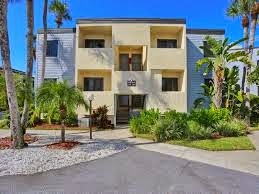 You can browse Venice FL condos for sale on my website. If you're in the market to buy or sell, please contact me. A few days back I posted some pictures about beach accretion (sand washing up) on parts of the south end of Manasota Key. Nature being nature, the sand is coming from somewhere else, namely, the beaches on the north end of Manasota Key. Today I stopped to photograph what the locals call middle beach (Blind Pass Beach). The public beach area seemed fine, but in the distance, especially facing south, you could view waves directly hitting sea walls at private residences. One stretch of beach particularly hard hit is the area around Tamarind on the Gulf and La Coquina condos, south of middle beach. Those condos have no beach as of this writing. 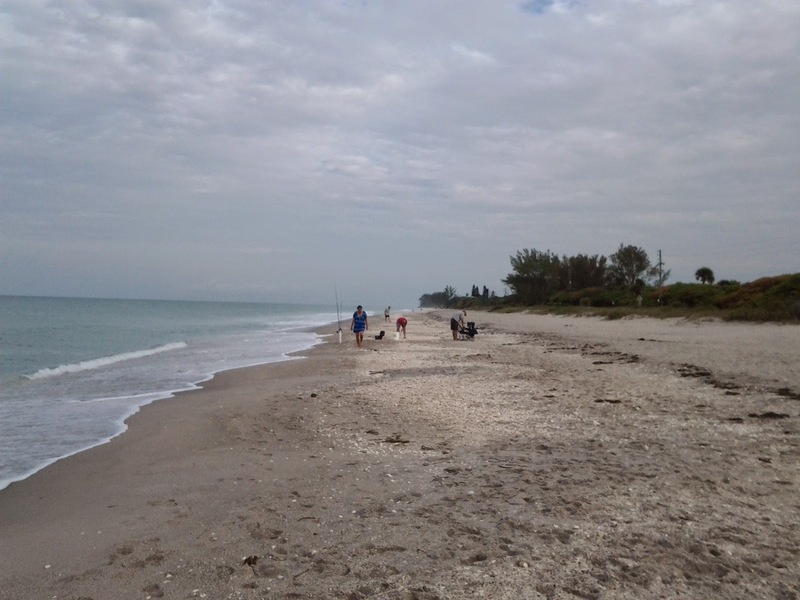 Read more on Manasota Key beach renourishment in Charlotte County. Read more about the Stump Pass Beach and Inlet Management Plan in a PDF document. 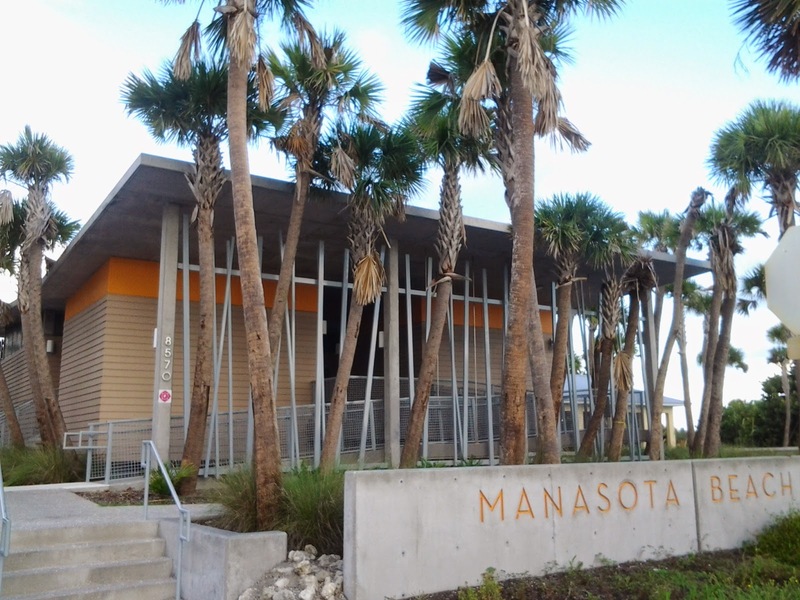 Season is over and it's time for an update on where we are in Manasota Key. This quick analysis is for single family homes only. I compared the past 90 days to the previous period. Units sold increased as did median sales price, but the list price to sales price ratio decreased, as more sellers negotiated off list price. If you are interested in selling your Manasota Key home, please contact me. Everyone in the real estate business has been talking about drone video and photography in real estate. Like most topics in my industry, I have an opinion about their use. 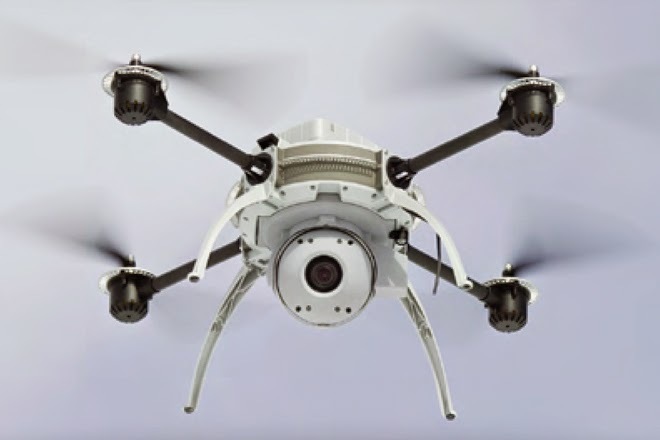 The only question one should ask (as a property owner or Realtor) when considering drone use (when and if it becomes available), is will the end result produce a sale? I don't think so, in most cases involving residential real estate. While I provide a basic video walk-through of a property for sale, and offer a full complement of high quality photos, the fact is that most Realtors haven't mastered these more basic tools that actually do sell a property. When you are ready to put your Venice FL home or condo on the market, please contact me. Like it or not, a big part of our job as Realtors is marketing. That means keeping up with the latest trends in technology and in consumer behavior, so that our customer's properties can more easily be found by qualified buyers. Luckily for my clients, I am fascinated by technology and embrace change, which takes us to the latest information from Google and their "Think With Google" newsletter. Top trends: Americans spend 151 minutes per day on smartphones, more than on laptop or TV;Searches for HD cameras grew 25%;1 in 5 searches on Google are related to location. This data suggests: The mobile device is the remote control for our lives. Consumers must have a great experience with a Realtor website on their smartphone;Consumers expect to get what they want, in the moment they want it. Fast, simple, and easy interactions (epecially when a Realtor responds to a customer inquiry) will continue to be key. We're experiencing a very dry and hot spring here in Venice and Englewood. I've propagated a bunch of coral plant seedlings. I will be adding those to the side driveway. 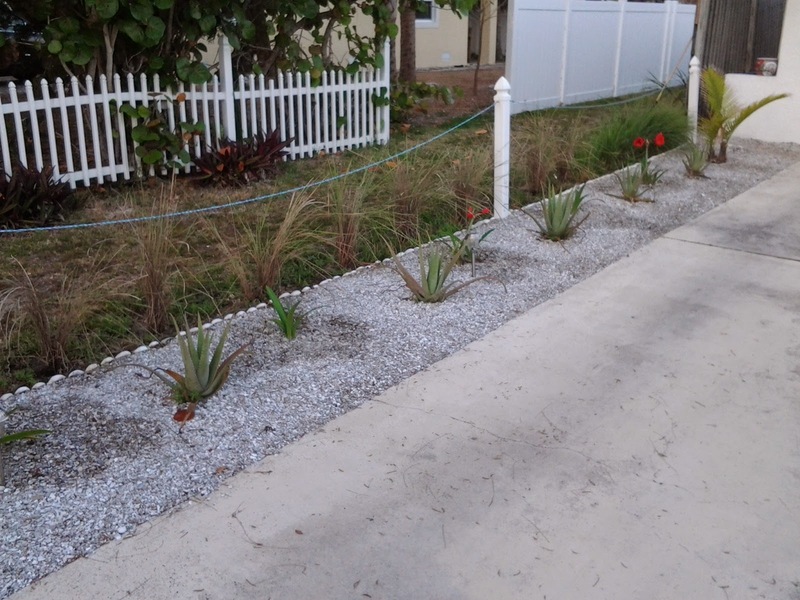 The trunks of the coral plants will rise above the crown grass I just recently planted, creating a nice soft barrier at the beach easement.. Then I can get rid of the unattractive rope fence that I inherited. Check back again for more pictures of the progress. 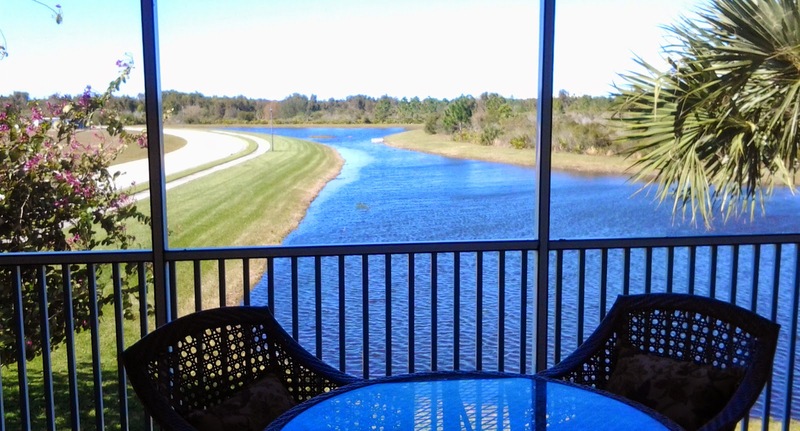 Check out this beautiful lake view home for sale in Venetian Golf and River Club at 238 Pesaro Drive. If you are not familiar with Venetian Golf and River Club, it is located just east of I-75 off Laurel Road. It has resort-style amenities and golf membership is optional. Local attractions such as Nokomis Beach and shopping are just minutes away. If you are interested in this home please click this link for the MLS listing. You may also browse all Venetian Golf and River homes and villas for sale on my website: click here. Please contact me for a tour of this home, or any home of interest in the Venice FL area. How's this for an inside tip? There's a newer town home-style condo for sale in Sarasota National that's priced competitively with similar, older properties. 23265 Banbury Way is a former model, end unit townhome style condo with a sunny west/southwest exposure and a long lake and preserve view. This is a true 3 bedroom unit, with extra space in the gathering room as outlined in the floor plan, which can be used as a home office or sitting area. Compare to condos with similar layout for sale in Triano, built in 2005, currently listed between $279,900 and $249,900. 23265 Banbury Way is listed for sale now at $265,900. Get your Realtor to schedule an appointment to see this unique townhome-style condo today, or contact me directly to arrange a tour. Should You Buy a 2-Story Home in Venice? New home builders are including more and more 2 story homes as a way to build more heated square footage on a small lot. Builders are also taking a cue from census data that shows more demand for multi-generational homes. Is buying a 2 story home in the Venice area a good idea? I analyzed Venice FL MLS data for 2 story, 3+ bedroom single family homes sold within the past 180 days, and one story single family homes during the same period. Avoid 2 story homes whenever possible. They take longer to sell and appeal to far fewer potential buyers in the Venice, FL area. 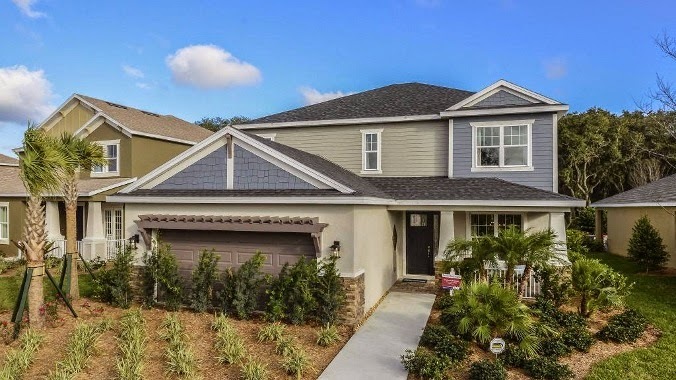 If you are looking for Venice FL homes for sale please visit my website, or contact me for more information.